Hollywood is Dead » “LIKE” the New HOLLYWOOD-IS-DEAD FACEBOOK PAGE! 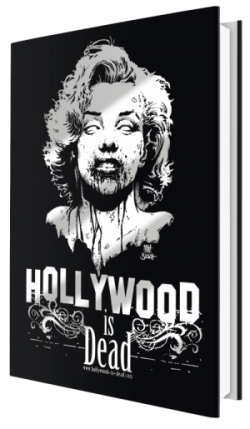 In addition to getting social media blasts on the latest and greatest Box Office Cadavers, you’ll also get up-to-date updates (that’s why they call them that) on the upcoming HOLLYWOOD-IS-DEAD coffee table Art Book! How exciting is that? So be a good sport and support the cause. Let the undead win. 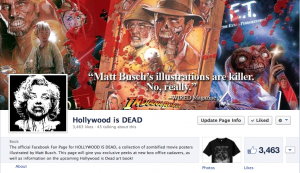 Give us a “Like” and we promise to deliver a daily dose of decayed decadence!